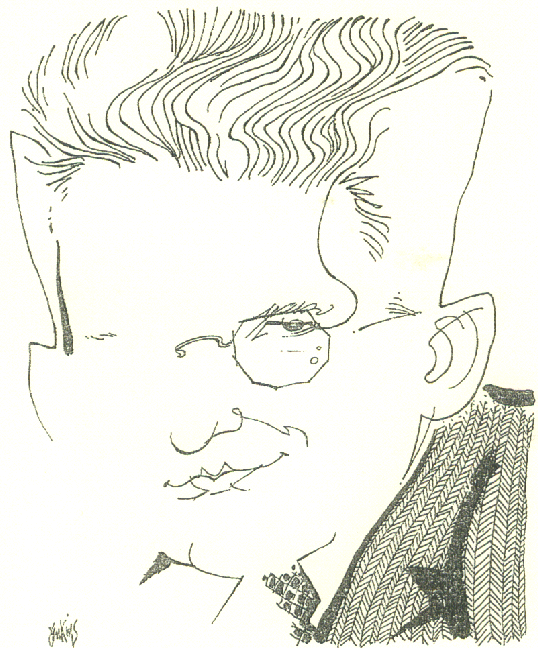 We’ve just added Michael Dolzani’s paper “Desert Paradise: A Polemical Re-Introduction to Northrop Frye” to the journal. You can link to it directly here. What are Frye’s first principles? At what point does he begin—for that crucial point determines the focus and selectivity of all that follows. An entire mythology is often implicit in its Creation myth. The first thing one notices about Frye is his preoccupation with patterns—with correspondences, codes, systems, structures, encyclopedic organizations, vast and all-inclusive webworks. The titles of the two great works of the first half of his career betoken this. Fearful Symmetry is an apt title for a book about a poet who said, “I must create a System, or be enslaved by another man’s.” Frye was for a long time trying to write two books at once, one about Blake’s mythical and metaphorical patterns and one about how Blake’s patterns were a microcosm of the patterns of the whole order of words. Eventually, this second book spun off and became, first, Structural Poetics, and, finally, Anatomy of Criticism—the titular accent again being on the element of pattern, as it is with The Great Code in the second half of Frye’s career. 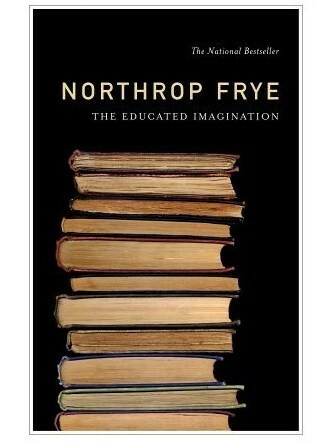 That book and its successor, Words with Power, evolved directly from Frye’s notebooks. Whatever their ultimate value, the notebooks are a fascinating read; at times they seem to have been written by the reincarnation of Pythagoras, as Frye launches into flights of patternmaking dauntingly beyond anything in his published books. We learn that his whole life’s work was invisibly informed by an eightfold pattern, the ogdoad, sometimes imagined as a series of eight books with cryptic titles like Paradox and Ignoramus, and special symbols to denote each title. As Robert Denham has shown, we learn of repeated schemes to organize his material numerologically, according to schemes of 7, 12, 14, 28, 78, 100, and so on. We learn that the Third Book was to be an exposition of a diagram called the Great Doodle, a mandala with symbolic names for its points and quadrants. And we find repeated attempts to match the Great Doodle with patterns far beyond the field of literature, such as the two traditional circular arrangements of the trigrams of the I Ching. At some point, almost any reader is going to scratch his head and ask, “What is going on here?”—all the more because of Frye’s qualified but respectful treatment of what he calls “kook books,” which we may define as books of unbridled speculation about various symbolic patterns, for example Holy Blood, Holy Grail, which Frye had read appreciatively long before Dan Brown used it as a source for The DaVinci Code. We also learn from the notebooks about certain revelations or epiphanies that Frye experienced over the course of his life. In each case, he describes these as epiphanies of pattern, of a sense of coherence, and says that all of his writing was contained in microcosm in those few moments of expanded consciousness. One came as a result of a late night’s reading of Spengler, an earlier influence than Blake. In Spengler, any element of any human culture can be explained through its belonging to a larger symbolic pattern. The insight that Blake’s patterns were the same patterns as those of the Bible, of all mythology, and of all literature came to him as a late-night epiphany while trying to write a graduate paper. In later years, there were other moments, glancingly referred to by names like “the Seattle revelation.” Nothing would seem further from the perspective of post-structuralism, which had to develop a whole new vocabulary of swear words adequate to curse any attempt at “totalizing,” “mystification,” or “hegemony.” Nonetheless, here we are, on the verge of celebrating a centenary for no more logical reason than what Frye himself once called a superstitious reverence for the decimal system of counting. On the grounds that this makes us complicit, perhaps we should inquire into the reasons for Frye’s own superstitious reverence for patterns. While this is our first peer reviewed article in the journal, it is the twelfth paper we’ve added. You’ll also find “Articles of Interest” by Russell Perkin, Bob Denham, Peter Webb, and Johanne Aitken, as well as the “Frye Festival Archive” with talks by Alvin Lee, Bob Denham, Michael Dolzani, Jean O’Grady, and Germaine Warkentin. This entry was posted in Journal on April 7, 2010 by Michael Happy. A link to Mario Valdes’ address to the 2009 Annual Graduate Colloquium on Comparative Literature here. Valdes opens with extensive remarks on Frye. This entry was posted in Frye Alert on April 7, 2010 by Jonathan Allan. Now that the journal and the library are taking on the burden of the website’s scholarly purpose, we’ve begun to include in the daily blog a little bit of politics and current affairs, which raises the issue of Frye’s status as a public man, particularly his role as editor of the Canadian Forum. That last sentence catches like a burr. 2020 is just ten years into our future, and Frye seems to have rendered it with, well, 20/20 foresight: “the future that may be technically feasible is not the future that society can actually assimilate.” The reasons for this are many and all are suggested by humanity’s pathologically bad habits which Frye enumerates throughout. This entry was posted in Canada, Canadian Forum, Current Events, Politics on April 7, 2010 by Michael Happy. “Casey Jones” in the blog ceci n’est pas un journal has a post referencing Fearful Symmetry and Menippean satire here. He also produces this pungent little quote from the New York Review of Books: “It seems to me that Derrida in context is even worse than Derrida out of context” (hit the link and scroll all the way down to the end, just before the Notes). This entry was posted in Frye Alert on April 7, 2010 by Michael Happy.